April is Fair Housing Month! 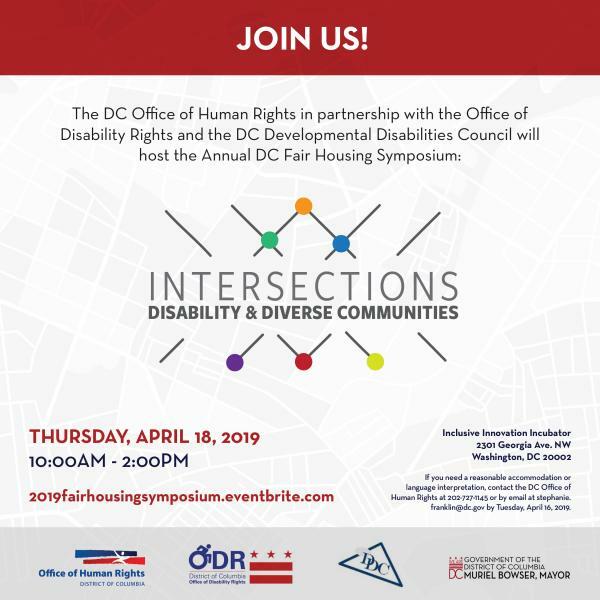 Join us in celebrating at the 18th Annual D.C. Fair Housing Symposium: "Intersections: Disability and Diverse Communities". This years symposium seeks to educate attendees on issues relating to fair housing with a focus on disability related topics and their impact on community diversity. 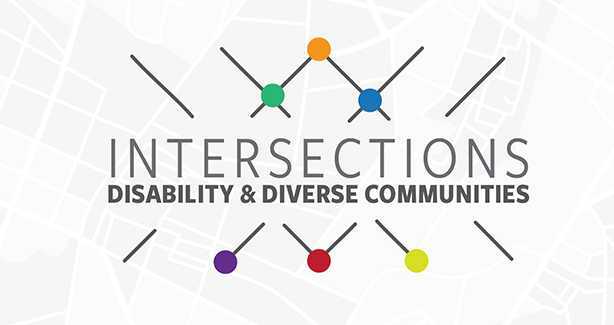 The event will consist of a networking session, keynote conversation, light lunch and then workshop sessions surrounding the barriers to fair housing from the perspective of individuals living with disabilities in the housing community. Inclusive Design + Construction with focus on "Deaf-Space"
This symposium will be a forum for persons who provide advocacy within private, non-profit or government sectors, tenants and developers to gain critical information and increase their toolbox of resources to help individuals and families to recognize housing discrimination. Join us! If you need a reasonable accommodation or language interpretation, contact the DC Office of Human Rights at 202-727-1145 or by email at [email protected] by Tuesday, April 16.